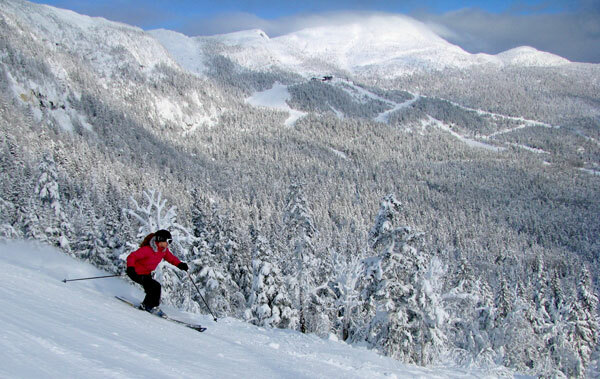 The ski club sponsors day trips on both mid-week and weekend days. bus schedule, see the Day Trips Information page. Member: $88, includes bus fare and lift tickets. if you cancel within 7 days you will receive a $42 lift ticket refund. You must register on-line. Click on the mountain name in the schedule to register. If you do not receive an immediate email confirmation, your registration has not been successful. Please try again. If you need help with registration or can not register on-line contact us. Your seat is not confirmed until payment is received. When paying by credit card you will receive 3 email confirmations when the payment is successfully processed. If you do not recieve these, contact us. If mailing checks, mail promptly to confirm your seat. Mailing instructions are emailed immediately when you complete your registration. No trips open for registration at this time. * GUARANTEED TRIP: the trip will run even if the bus is not at breakeven capacity.